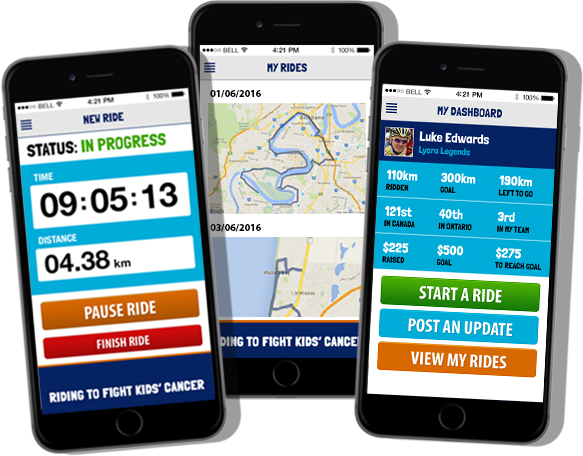 Great Cycle Challenge app will record your KM, provide ride details and map the route for each ride you complete throughout the month of June. Great Cycle Challenge Canada's mobile app is available for iOS (Apple) and Android (Samsung et al.) smartphones and can be used to track your miles throughout June. The app is compatible with iOS 7 onwards plus Android Version 4 (Jelly Bean) and above. Select 'Canada' from the country drop down before trying to sign-in - regardless of whether you are signing in with a username or via Facebook Login.